How can English language teachers contribute to peace locally and globally? 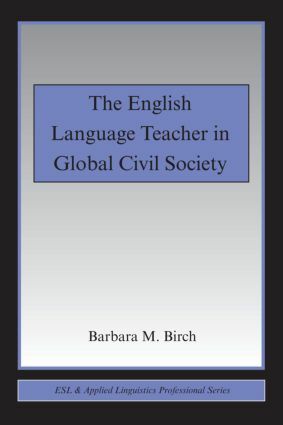 English language teachers and learners are located in the global civil society – an international network of civil organizations and NGOs related to human rights, the environment, and sustainable peace. English, with its special role as an international language, is a major tool for communication within this network. On the local level, many teachers are interested in promoting reconciliation and sustainable peace, but often do not know how to do so. This book provides information, analysis, and techniques to help teachers around the world take action toward this goal. Balancing, in a readable and accessible way, the global and the local, core and periphery, cultural diffusion and resistance, theory and practice, pessimism and optimism, outsider and insider perspectives, the expert role and the apprentice role, and prescriptive and elicitive methods, it offers an alternative to literature about critical applied linguistics, globalization, and peace education that is simply too complex and wordy to spread easily from theoretician to the classroom teacher. suggests a new goal for English language teachers: global citizenship. This engaging, informative, provocative, and highly readable book is a welcome resource for English language teacher trainers, pre-service teachers, practicing classroom teachers, and Peace Corps workers around the world.